Even Republicans. You’ve got Mitch McConnell and Grassley and a number of other Republican, “Well, it wouldn’t be the first thing I would do. I certainly don’t think I’d be congratulating a dictator on a sham election,” and so forth and so on. So it’s frustrating, folks. It’s just dazzlingly frustration. The Democrats get away with anything and everything. On this social media stuff, or harvesting these people’s data they’re called geniuses. Facebook is applauded for working with Democrats; so is Google. But now that Trump has found a way to do it, bypass them? Apparently, some great crime has taken place — and man, oh, man, are these people mad at Zuckerberg. Well, anyway, back to the Trump story. Somebody in the White House, on the White House staff — and nobody knows who yet — leaked that prep memo that had as one of its bullet points: Do not offer congratulations to Putin. So this would have been the group of people that are led by General H.R. “Mr. Clean” McMaster. And there aren’t too many people that would have had access to this memo, this advisory thing that was given to Trump before he made the call to Putin. And CNN reports that Trump and Kelly are furious about it. They’re furious at the leak. I would be too. I would be too. It is obvious that somewhere — maybe a number of places — in the Trump administration, there are saboteurs. I don’t know how else to categorize it. Somebody that would leak this is obviously a saboteur. There’s somebody obviously or maybe more than one on the National Security Council staff… Their offices are in the Old Executive Office Building just right across a tiny, little street. It’s called a street. There’s enough space for a few cars to park there. But you look at this out of the back of the West Wing. You cross the street to whales called the OEO, Old Executive Office Building, the Eisenhower office building. It’s where the vice president’s office formally is. He doesn’t actually use it. It’s like a museum piece. But it’s a big building. It’s old, it’s gray, it’s stately and so forth. And that’s where the National Security Council people are. There’s not enough room in the West Wing for everybody. They come over to the West Wing for meetings. Somebody on that staff had to leak this to CNN, which means somebody’s trying to undermine Trump, which means somebody on the National Security Council staff is doing everything they can to undermine and sabotage the Trump presidency. I have no idea who. I don’t even know all the people on that staff. The only thing I will tell you is that I have — and this is nothing new, either. I have been curious about some of the staffing choices that were made in the first year. I’ve been really puzzled by ’em. We tapped this. Who among us would know enough qualified people for all these various positions? So we would have to take advice from people who do know people, and those people are gonna be swamp dwellers. They’re gonna be members of the establishment. This is what I think. I think Trump now has begun to size up who he put in there that’s not good, and he’s putting his own people in now that are tied to his agenda that he trusts and so forth. So Trump, according to CNN, was just fuming last night after the Washington Post reported that national security advisers specifically instructed him not to congratulate Putin. The Post reported that the materials read “do not congratulate” in all caps. “The source told CNN that the incident has again given air to Trump’s long-held belief that members of his [regime] are actively working against him.” No doubt about this. Now, again, I don’t know how widespread this memo was. I don’t know how many people saw it. I don’t know how many people are on the national security staff, the National Security Council staff. And I don’t know how many of them, if any of them, shared it with other people who are friends or colleagues who are not on the national security staff. Anyway, Trump chose to ignore the advice and he went ahead and congratulated Putin anyway. So we’ll have to wait and see what… But this is something that’s been going on for way, way too long. We know who some of the leakers were. They are gone. But there’s still somebody or a couple of people in the immediate circle of the National Security Council staff they have to go. RUSH: The story I had earlier about the leak, that there was a memo prepared for Trump by the National Security Council staff to guide him in protocols. And comments during his phone call to Vladimir Putin after Putin won rereelection with something like that 88% of the vote or whatever in Russia. And this memo prepared by the National Security Council staff specifically advised Trump, “Don’t congratulate him. Whatever you do during the call, don’t congratulate him.” Well, Trump did, and so somebody leaked the existence of that memo to the Drive-By Media. And they, of course, have been all over it talking about how there’s somebody disloyal to Trump, which proves that there’s chaos in the Trump White House. Marco Rubio has even… You’ve got that Rubio sound bite? I don’t have the number of it right in front of me, but it just came in a couple of minutes ago. Do you have that right in front of you? (interruption) Yeah, No. 25. Here, get Rubio, then we’ll go to Salena Zito next. RUBIO: No, I don’t like he did it. But you know what I like even less? That there’s somebody close to him leaking this stuff out. If you don’t like the guy, quit. But to be this duplicitous and continue to leak things out? It’s dangerous, and so I don’t like what he did, but I really hate that there’s someone in his inner circle that’s willing to leak this stuff. And if you don’t like working with this president, you should resign your job. RUSH: That’s not why they’re there. They’re not there ’cause they like working for the president. They’re there to sabotage him. The question is: How did they get there? It goes back to a subject I poignantly, brilliantly raised last week: The whole concept, the subject of Trump’s staffing. You know, there are people in this administration that have no business being there. And many of them, apparently, are on the National Security Council staff. And, by the way, national security is almost inseparable from the intelligence communities. You talk about overlap? It’s all over the place. And we know that the intelligence community almost in toto despises Donald Trump. I mean, folks, they literally hate the guy. It’s personal and it’s visceral. And so clearly somebody from that world found his or her way into the National Security Council staff. Here’s Salena Zito. Salena Zito’s in Pittsburgh. She’s a journalist, author, analyst, commentator, and she’s the reporter that went to all of these blue states during the campaign that have traditionally voted Democrat, and she was the first to uncover… Well, it didn’t take any uncovering. The yard signs were there. She was the first to write about the seriousness of all of these traditional Democrat voters who could not wait to vote for Trump in Ohio, Wisconsin, Pennsylvania. ZITO: Of course it’s infuriating him. From the reporting, it appears there’s only a handful of people that knew about this. Is there no sense of purpose or camaraderie or loyalty within this inner circle of the White House? And part of that comes from the top. Now, there are presidents that are incredibly successful by having this relationship with their staff where everyone feels like they’re part of something bigger than themselves, that they’re all working together, and that everyone has each other’s back. I think the best thing that they can do is get to the bottom of this because from the very beginning it’s been like a colander where information just flows like water through every little hole. RUSH: Well, she’s right about that, and she’s also right about the fact that there doesn’t seem to be — in this area of the administration — camaraderie and a sense of purpose and loyalty. There’s no question that there’s a saboteur (at least one) that’s on the National Security Council staff. (interruption) No, I don’t want to start throwing out names, ’cause, frankly, I don’t know everybody. I couldn’t tell you very many that are on the staff. I do some who have been gotten rid of who were Trump loyalists. Within the first six months, they were forced out of there. It was all part of Bannon having his clearance taken away. There was a big mess the first six months in this bunch, the National Security Council staff, and a couple of people that were really good, really… One of the guys… I can’t remember his name. Ezra something. One of the guys that was instrumental in alerting Devin Nunes to some intel in the White House about this whole Russian collusion business. He was fired, asked to leave or what have you. But there were some really young, loyal, do-anything-for-Trump people that were forced out of there. And it was during a turf war between H. R. McMaster and Bannon, I believe, if my memory is right on this. RUSH: Rebecca in Greenville, South Carolina. Welcome. CALLER: Hi. Thank you for taking my call, Rush. RUSH: So nice to have you with us. CALLER: Thank you. I wanted to offer a different spin on the leaked memo that you were speaking about earlier today. CALLER: I think that the leaked memo is not only good for Trump as he begins to look forward to the meeting with North Korea, but if I’m in charge of the administration that’s known for weeks, then maybe I start taking advantage of planting the leaks that I feel like help me when I need to. 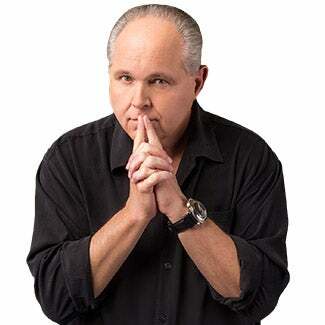 RUSH: So you believe that this stuff was leaked on purpose to show that Trump is his own man and despite what these blowhards on his staff say, he’s gonna do what he wants? CALLER: I think he’s definitely showing a willingness to think for himself as it comes to his relationship with Russia, and Putin specifically. And, look. I mean, I think we’re gonna need Russia’s support to actually have productive negotiations with North Korea that actually last longer than a decade. RUSH: “Russian support for actions with North Korea.” Well, maybe. Can I ask you a question? RUSH: I got 30 seconds, plenty of time to ponder an answer. Why do you think people are so upset that Trump congratulated Putin on his massive election victory? I’m sure the campaign was tough. Why are people so upset about this? RUSH: Well, does it bother you that Trump congratulated Putin on his sterling victory? CALLER: — have productive conversations with them. RUSH: Yeah, but do those people put people that disagree with them in jail and kill ’em? RUSH: Here’s Ron in Pittsburgh. Great to have you, sir. How you doing? RUSH: Oh, no! What happened there? We lost the connection. Do you happen to know what Ron in Pittsburgh was gonna say? Oh, he was gonna say that he thinks Trump ought to go get FISA warrants to spy on everybody on the National Security Council staff, go out and have the FBI or the DOJ go up to the FISA court, seek a warrant to spy on his own staff. Hmm. That’s an interesting way to think about this. Well, it is national security. Criminal, that would be interestingly to see somebody make that case.